Barcelona is a favorite travel destination for visitors to Spain. It's a vibrant city with a lot to offer, whether you're looking for nightlife, culture, cuisine, or art. There is also no shortage of accommodation options for visitors. Whether you're on a shoestring budget or are looking to stay somewhere nice, there are plenty of options. Backpackers usually prefer the hostels that are available throughout the city. They are often conveniently located with a fun environment at a reasonable price. 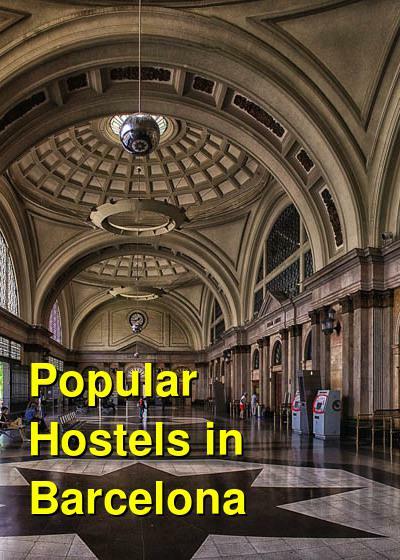 Below is a list of some of the most popular hostels in Barcelona. This building was designed specifically as a hostel so it has a convenient layout and a good setup. The rooms have lots of natural light and there's a full kitchen available to guests. There's also a patio with a jacuzzi and it's the perfect place to chill out for awhile. It's a social setting with a variety of events available to guests. You can choose from two, four, or six bed dorm rooms. Each bed has a reading light. There's also internet and wi-fi service available. The hostel is conveniently located very close to the metro as well as the area known as "ramblas". 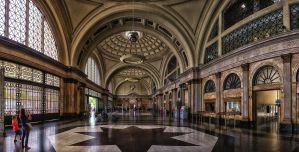 It's easily accessible by public transportation throughout the city. The staff at this hostel go out of their way to make sure your visit is enjoyable. They know the area well and can help you with all kinds of information. They also work hard to make sure the hostel stays clean, comfortable, modern and safe. Guests are offered a free breakfast included in the price of the room. There's also internet and wi-fi service available as well as lockers in the dorms. Guests also have access to a large common room and a kitchen. The hostel is located right in the middle of Barcelona. It's just a short walk from Las Ramblas and the Old Town. It's easily accessible from the metro which is just two minutes away. It's also very close to many of the most popular tourist attractions. This hostel offers both dorms and private rooms. The dorms can sleep up to six people. All of the private rooms have an attached bathroom. The hostel is a fun setting and there are regular events organized for guests. The hostel is located very close to Placa Catalunya and many other popular attractions. Other amenities available to guests include free wi-fi, a full kitchen, and a relaxing lounge area. Guests are provided with a free breakfast, towels, laundry service, lockers, a luggage area, and travel information. This is a great place to stay if you're hoping to meet new people. This hostel is a popular option because of its affordability and great location. It's located very close to the Ramblas, La Boqueria Market, and many other popular destinations. The atmosphere is welcoming and the hostel is clean. There's a lounge area where you can relax, and a full kitchen for those who wish to prepare their own meals. The staff is available 24 hours a day to answer your questions and they speak many different languages including Spanish, English, Italian, Greek, German, and Portuguese.